I can’t believe Christmas will be here in five more days. I say this every year because as I get older and busier, time goes faster and faster. However, you can’t let it go without getting out and about in your city. Our favorite time to go see the holiday lights is the week between Christmas and New Years. Although I love the hustle and bustle before Christmas, it’s a little crazy busy especially with three active children and two working parents. Of course, my number one source for checking out lights and holiday activities in St. Louis is Kids Out and About in St. Louis. Kids out and About is a great resource for family activities. For those of you not located in St. Louis, you can also find this great organization in many other cities throughout the US and they continue to grow. Get connected with them! Get out and about with your families this holiday season! 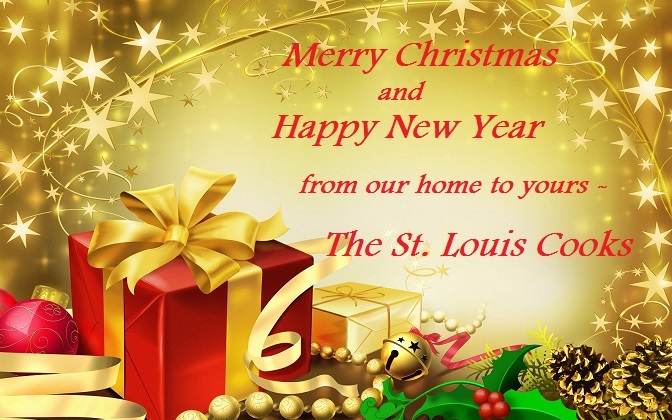 The St. Louis Cooks wish you all a very Merry Christmas and a Happy New Year! More recipes and local St. Louis business features to come…Stay tuned!